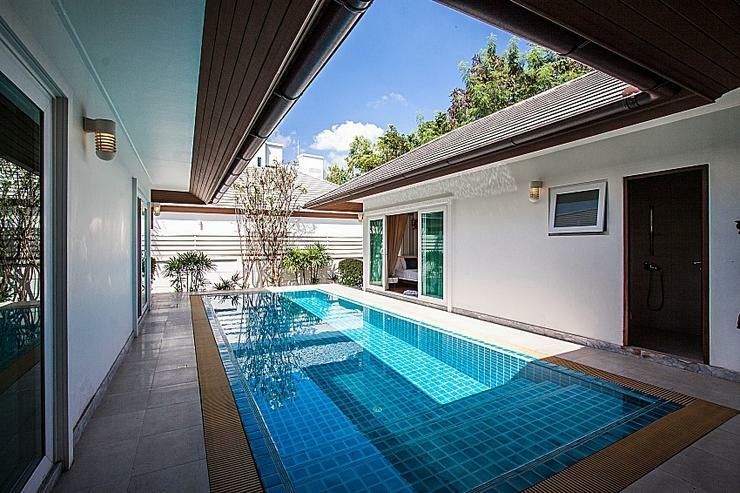 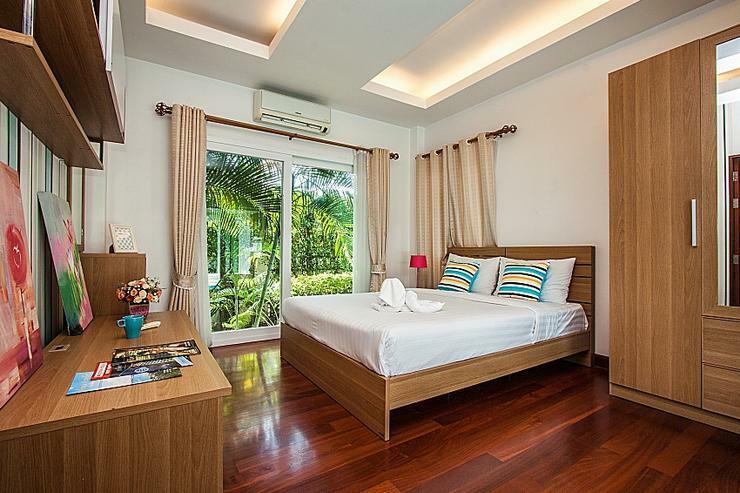 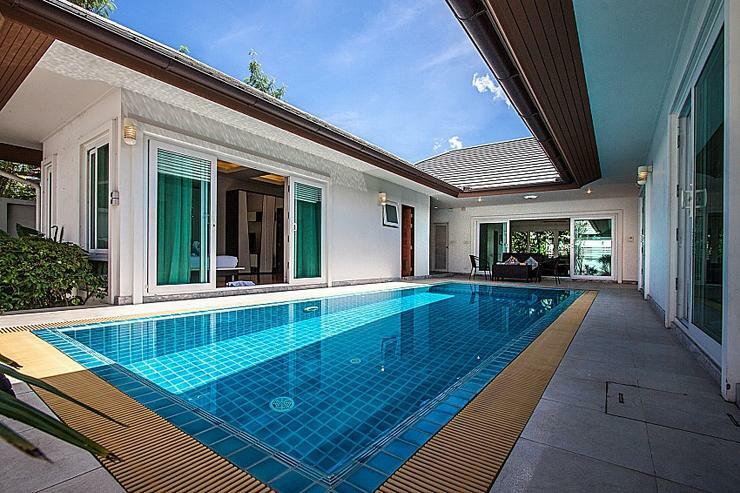 This villa is set in a convenient location and is only a 10 minute drive to Naklua. 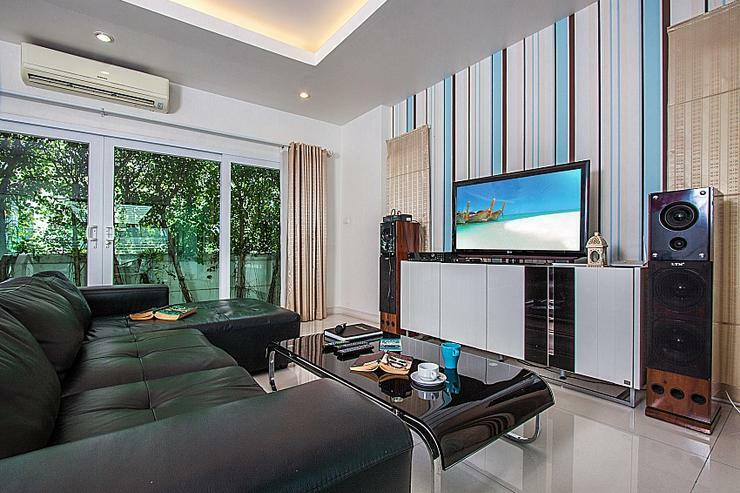 Located in North Pattaya where you can find bars, shops, and restaurants. 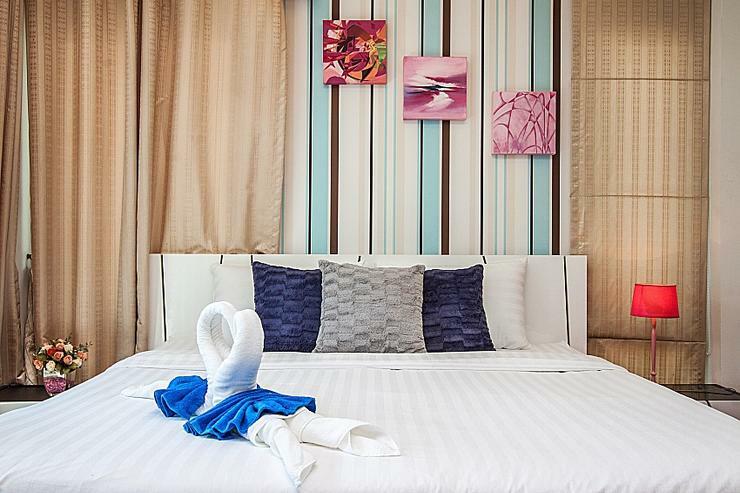 Pattaya has a lot to offer both in attractions and fun. 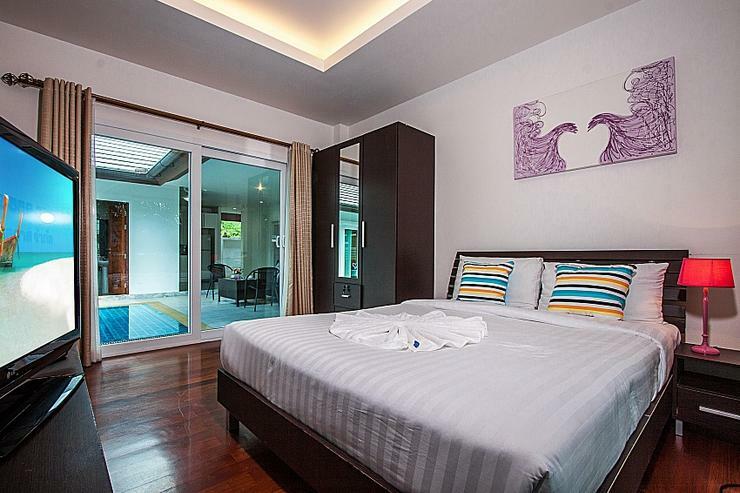 You can go to Pattaya Sheep Farm or Million Year Stone Park easily from this Villa. 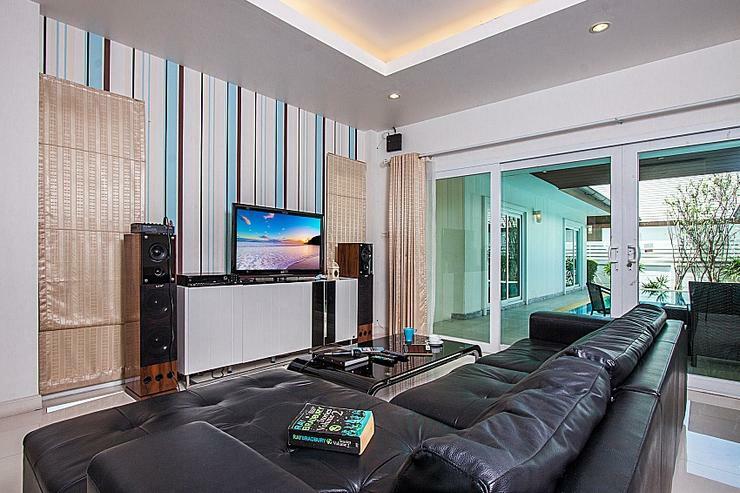 You might want to check out Pattaya city for its nightlife, you can do that as well. 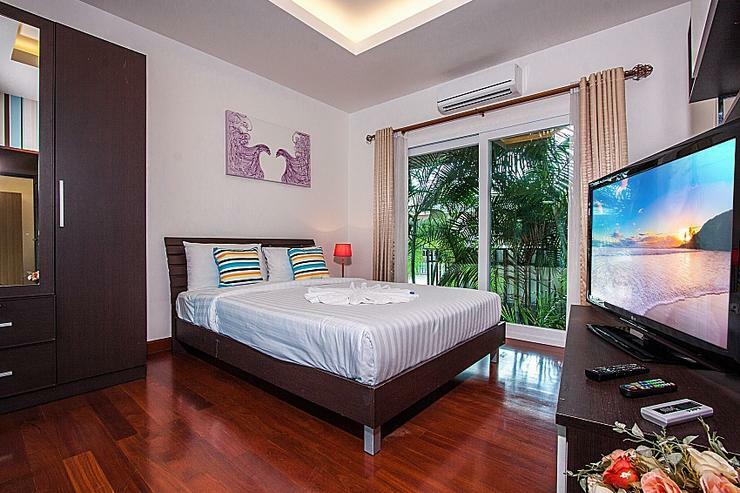 Walking Street is not far away! 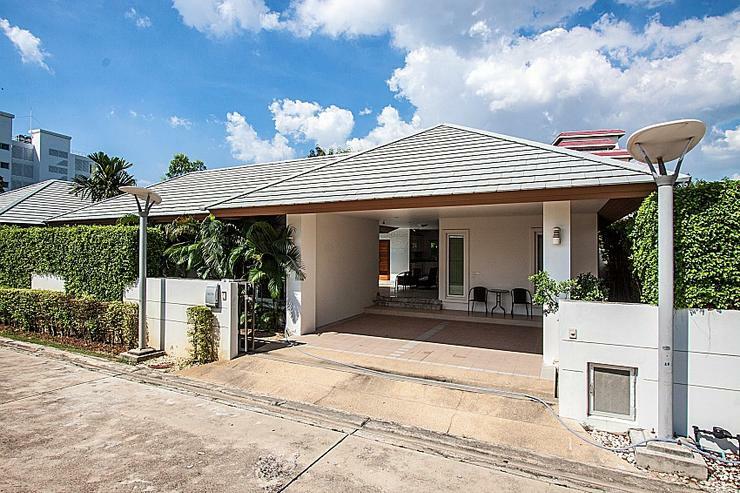 For those who love to play golf, you can drive 15 minutes to visit Pattaya Country Club or a little further to Leam Chabang Golf Course. 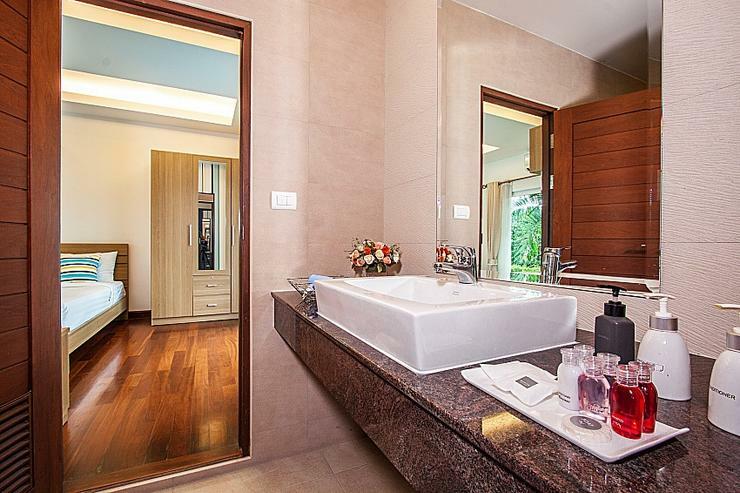 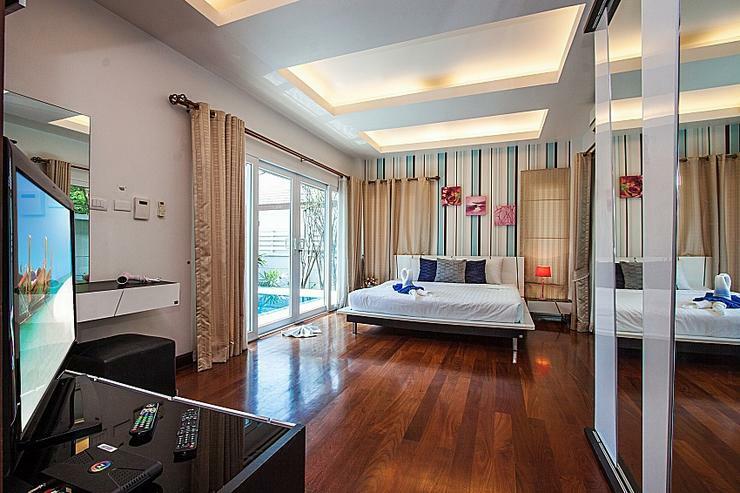 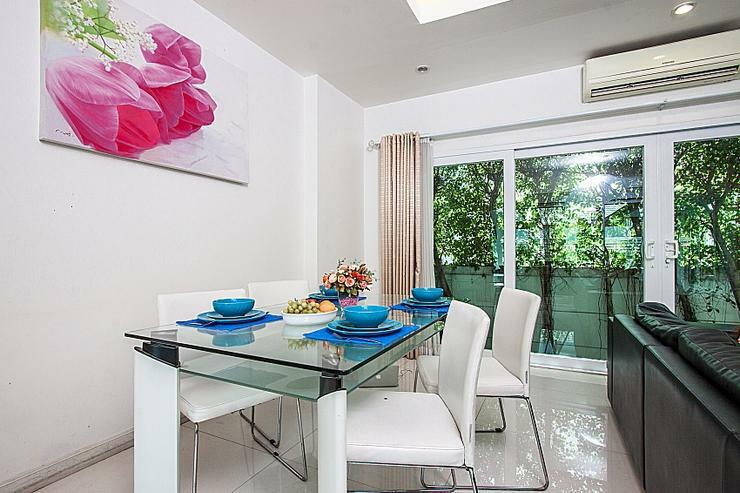 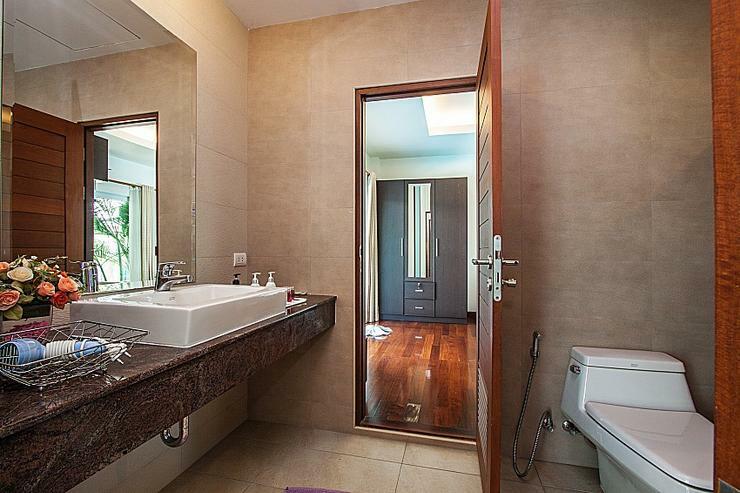 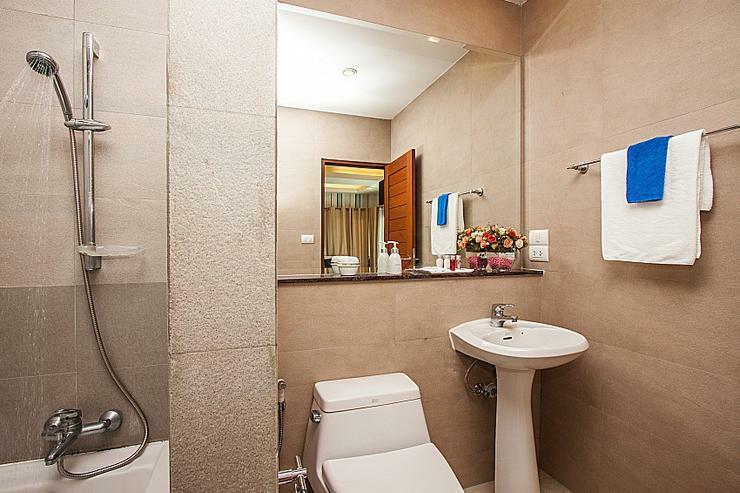 This 3-bedroom villa sits in the heart of a world-class residential development at Banglamung, on the outskirts of the city, a 10-minute drive to Naklua and just a 2-minute stroll to the beach. 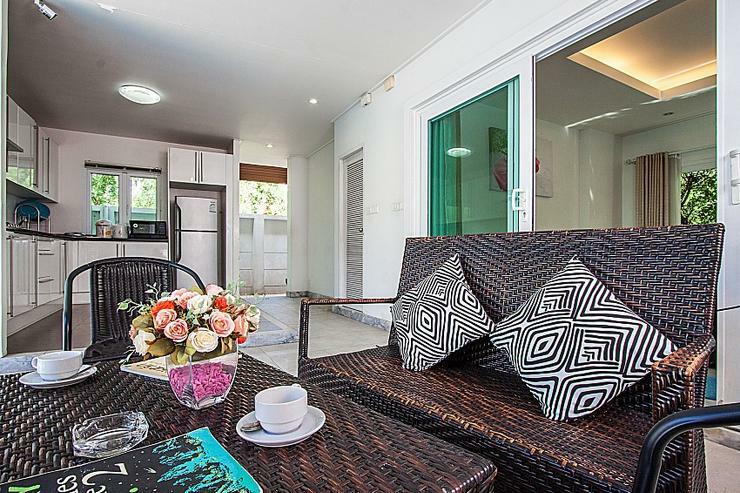 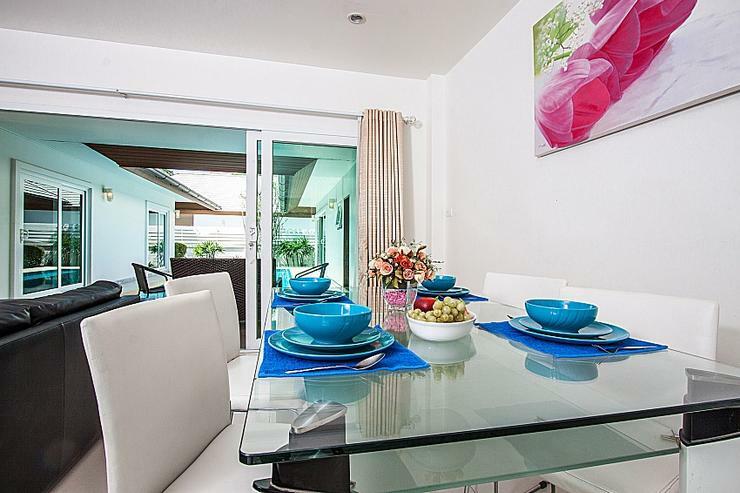 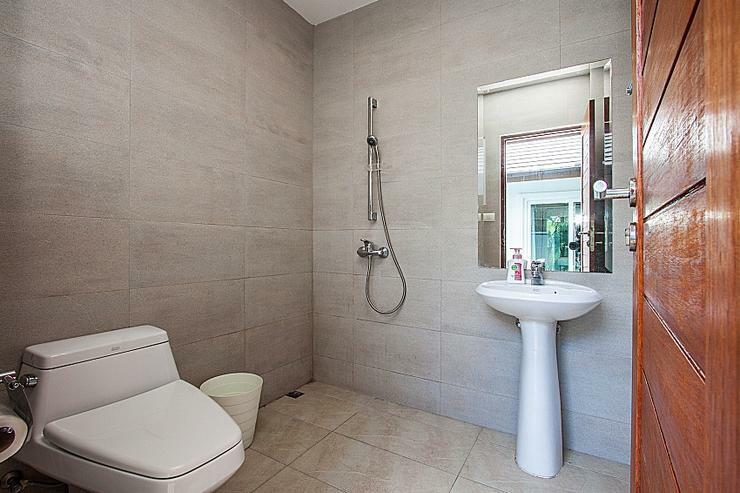 Modern, luxurious and coming with a contemporary feel, this villa sleeps 6 people and is for those who want privacy close to the beach with a short drive to all the action. 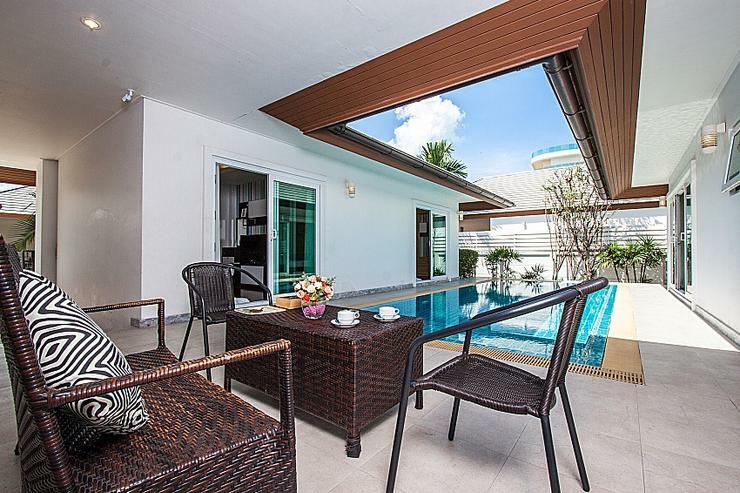 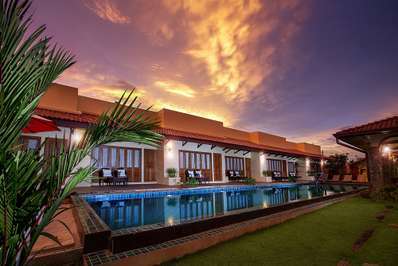 Coming with a private swimming pool, adjoined by a covered terrace area with comfortable seating, you can relax at poolside and enjoy the tranquil atmosphere. 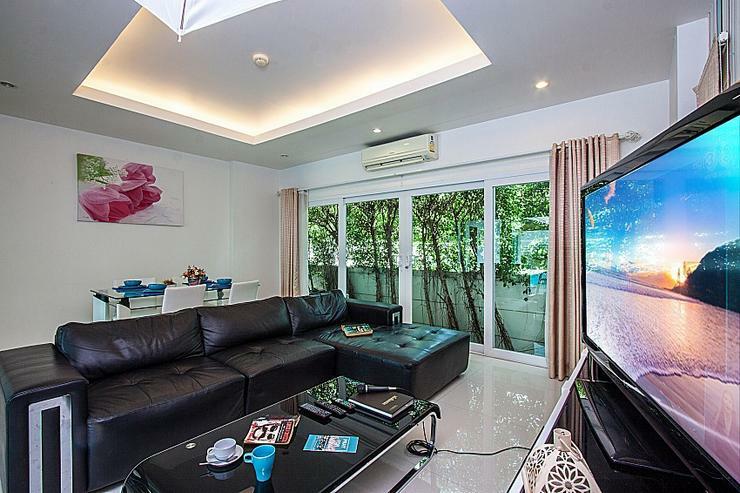 The villa has modern living spaces, coming with a lounge and dining room rolled into one, with direct pool access and a leather 5-seat sofa, TV with international channels and a surround sound music system, alongside a 6-seat dining table. 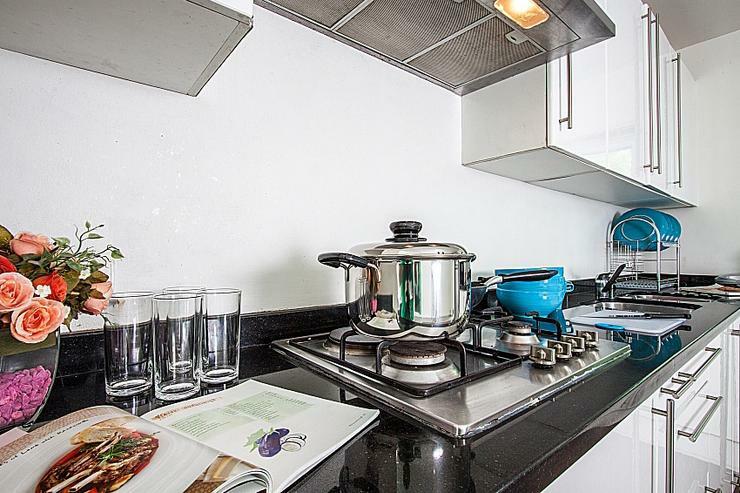 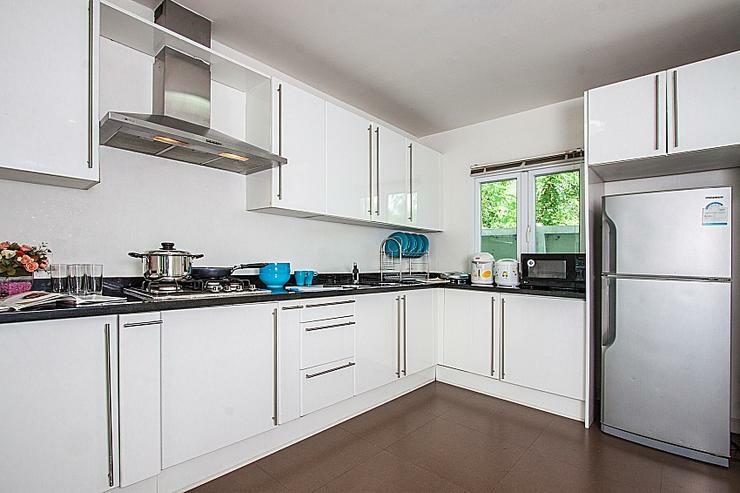 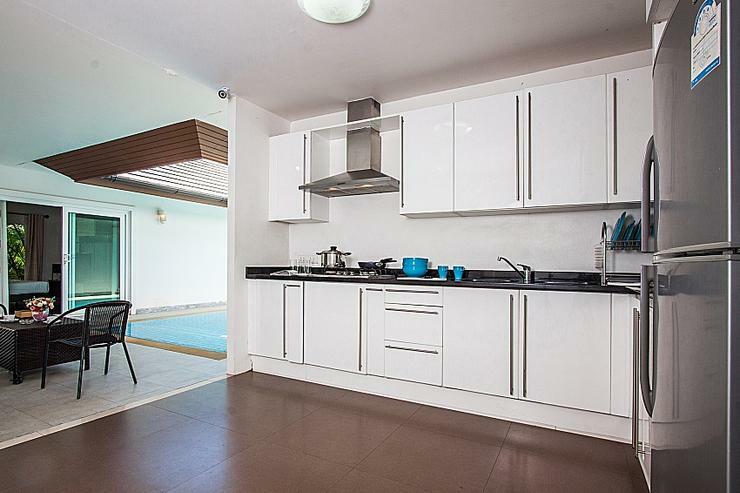 There is also a kitchen area with modern appliances, perfect for self-catering. 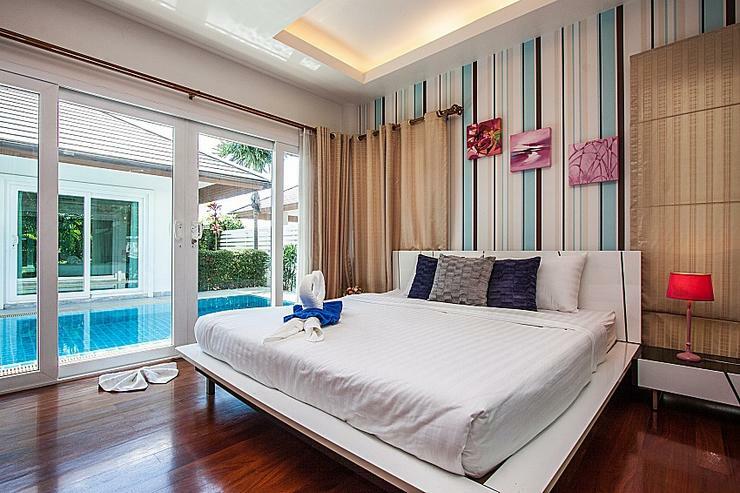 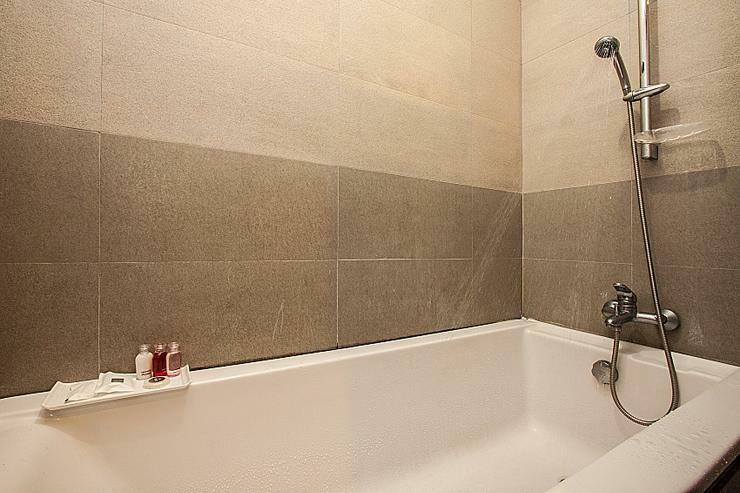 The 3-bedrooms all enjoy direct access to the pool and have double beds, wardrobes and air-conditioning. 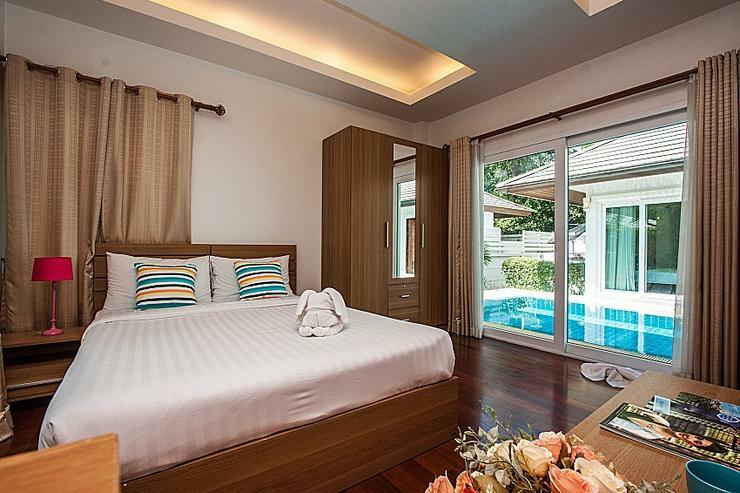 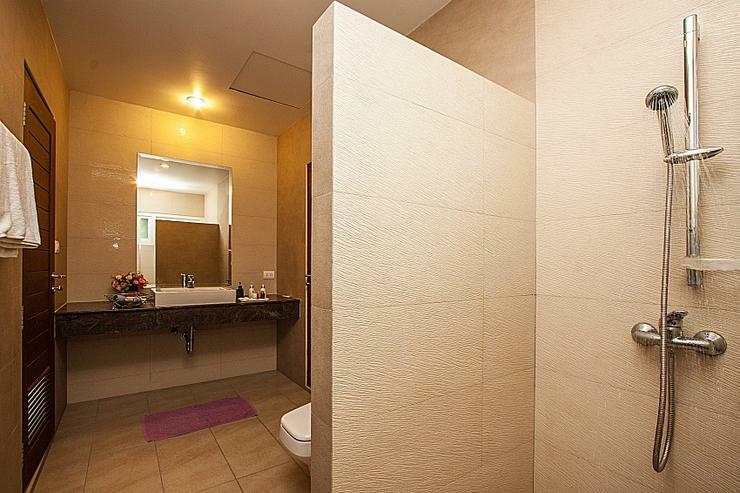 2 of the bedrooms have TVs, while the master bedroom has access to an ensuite bathroom. 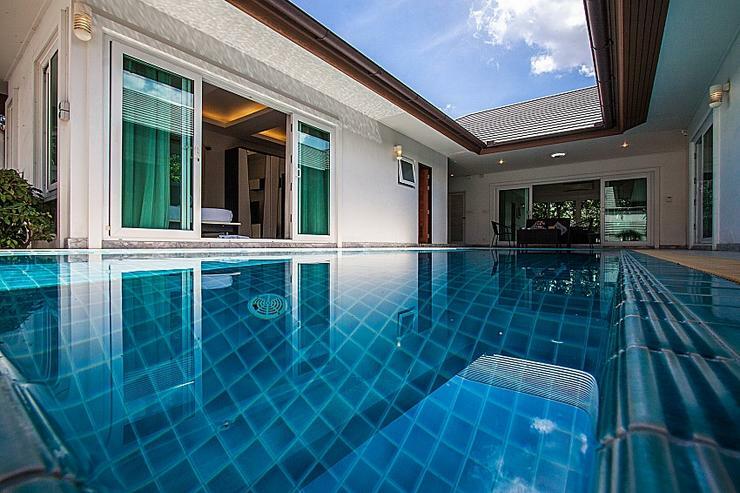 The estate is a 10-minute drive to Naklua and just a 2-minute stroll to a beach. 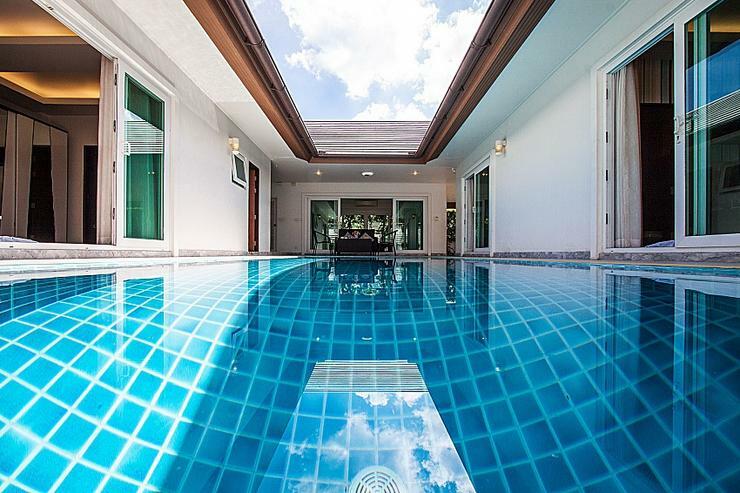 The estate also has a communal clubhouse with sea-views, a swimming pool and a fitness center.